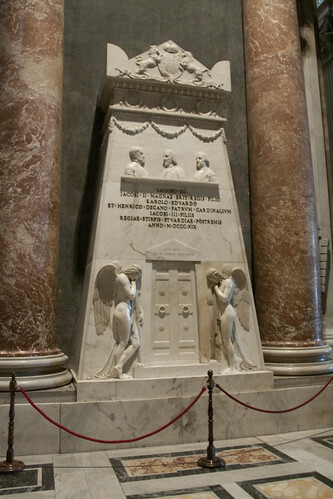 Every year a Requiem Mass is organised for the deceased members of the Royal House of Stuarts: picutred is the monument to them in St Peter's in Rome. This year's is taking place tomorrow. Church of the Assumption and St Gregory, Warwick Street. It will be accompanied by the Choir of St Bede's and Corpus Christi.